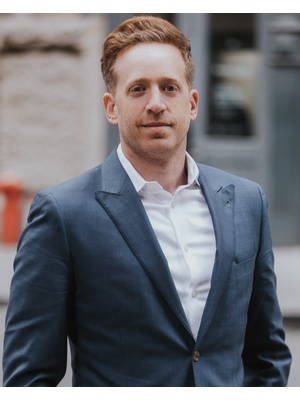 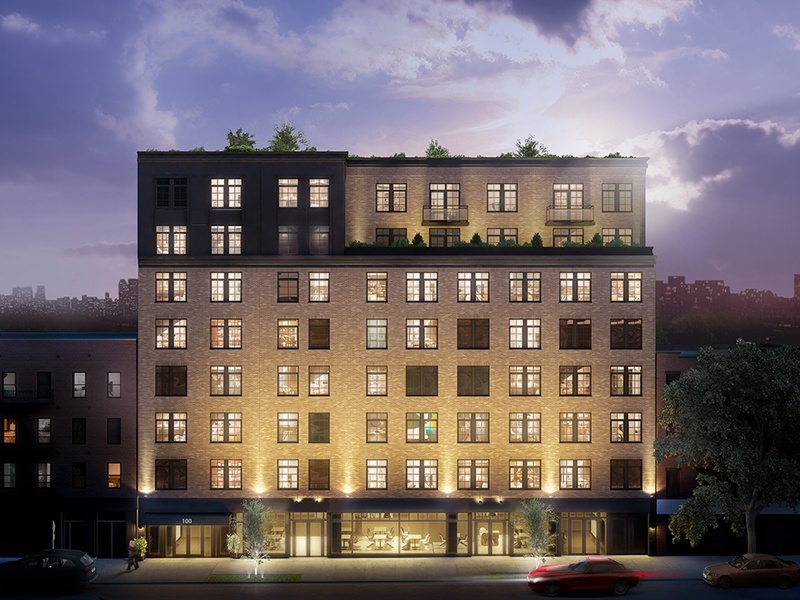 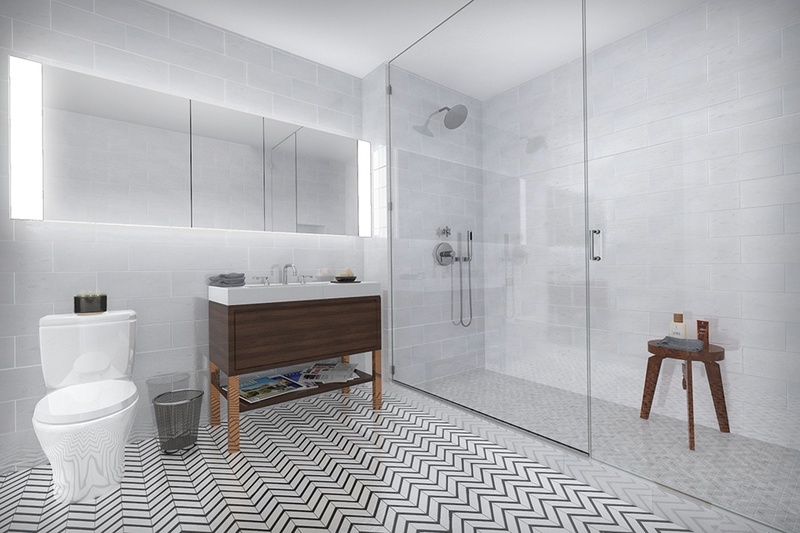 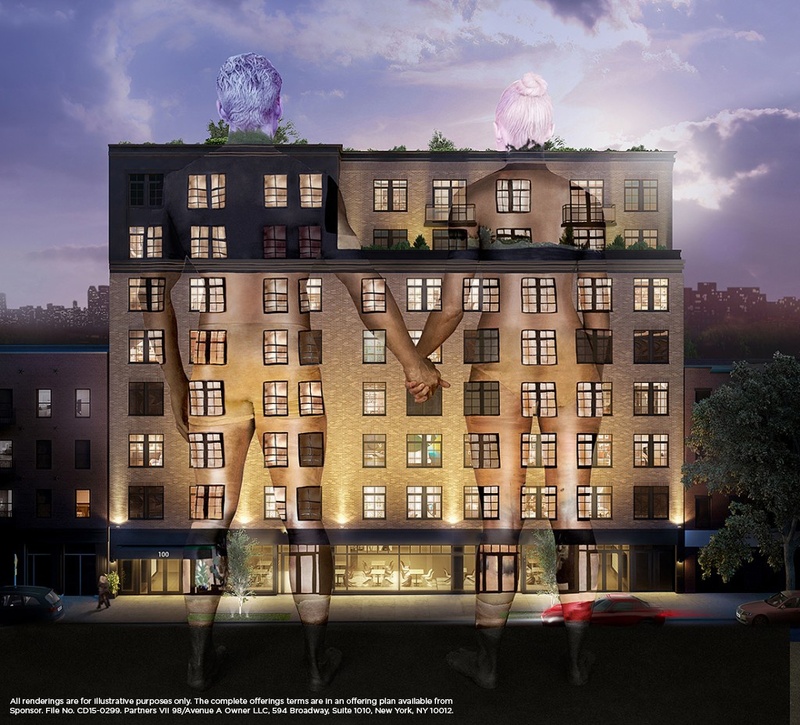 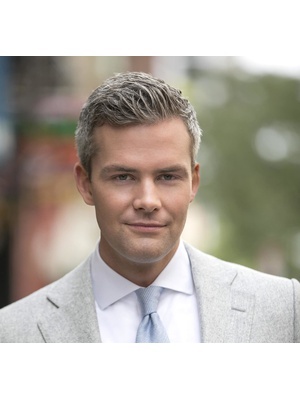 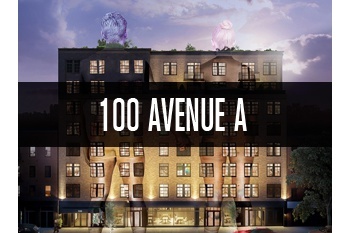 A tantalizing new development in the heart of the East Village, 100 Avenue A is a full-service condominium that will boast 32 units of refined style and craftsmanship, and will give new meaning to the term, living on the park. 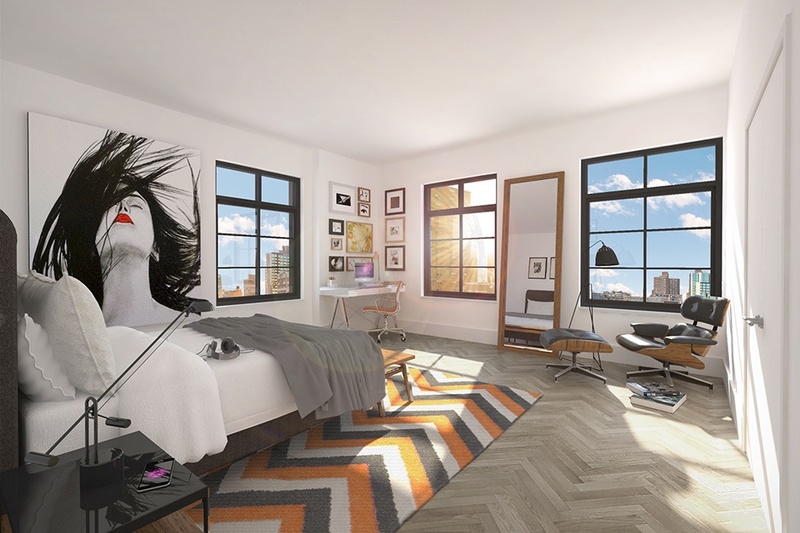 Rising 8 stories, the building will command incredible views of Tompkins Square Park—which sits just across the street—and will offer its residents luxury amenities including a 24-7 doorman, 11,000 Square Foot fitness center, common zen garden, incredible furnished and landscaped roofdeck, bicycle storage, and residential storage. 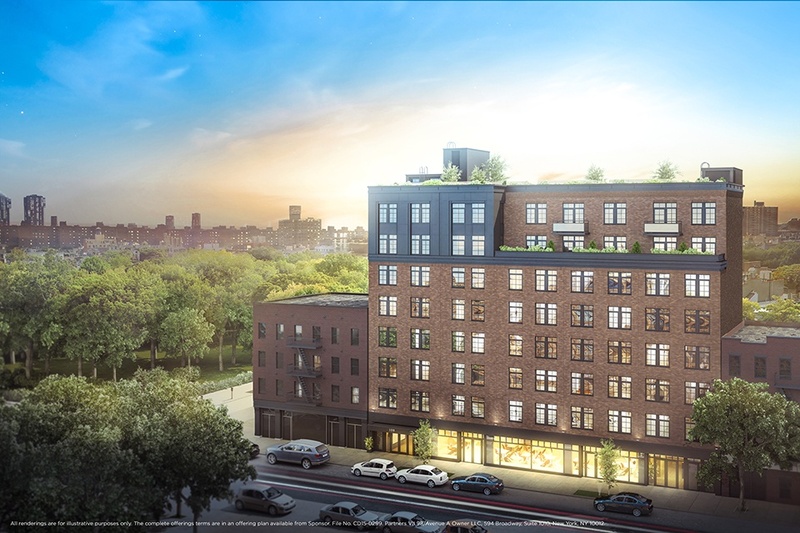 Driven by the attentive guidance of noted developer Magnum Real Estate Group and designed by the veteran New York City firm Issac & Stern Architects, P.C., the building will immediately become a cornerstone of a vibrant, evolving neighborhood. 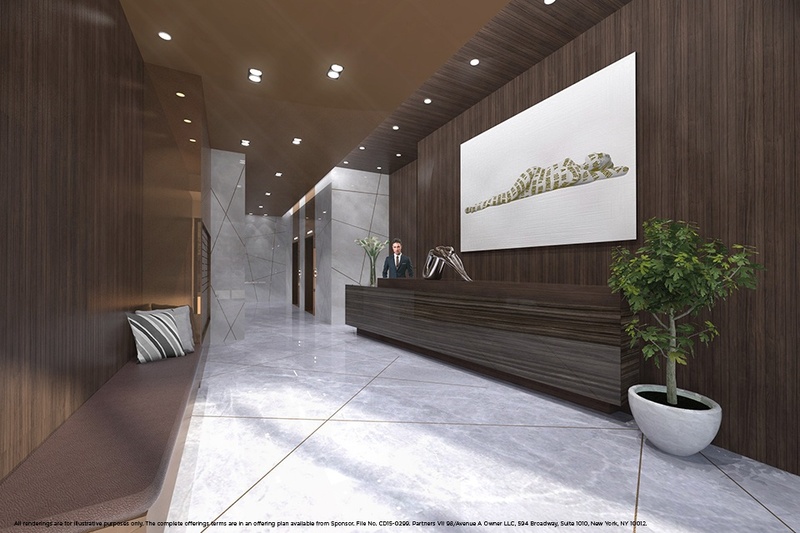 The lobby will be wrapped in Blue de Savoie marble slab, bronze-inlaid floors and Lumix quartzite wall tiles—with bronze inlays and walnut finishes installed with individual slats. 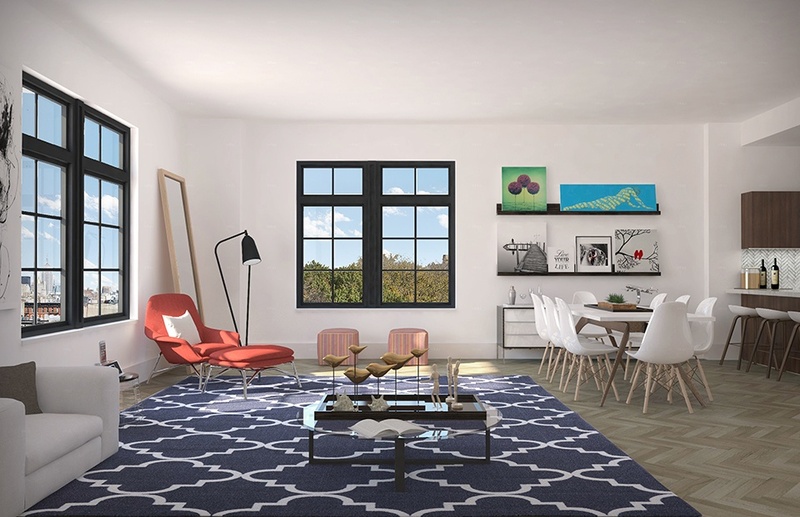 All apartments in the building have been designed through a lens of sophistication and functionality—the tenets of a modern lifestyle. 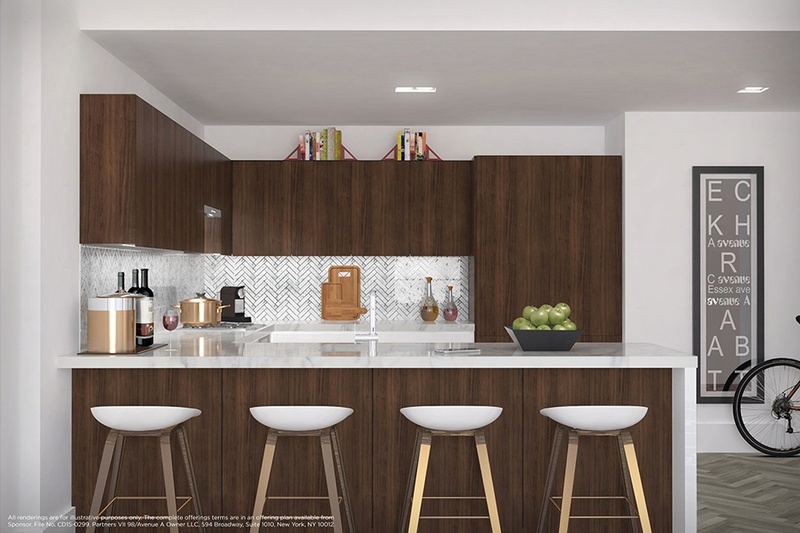 Features will include gorgeous white oak herringbone floors, oversized casement windows, Miele appliance packages, custom designed Effeti kitchens from Italy with Calacatta white marble countertops, and a washer/dryer in every apartment. 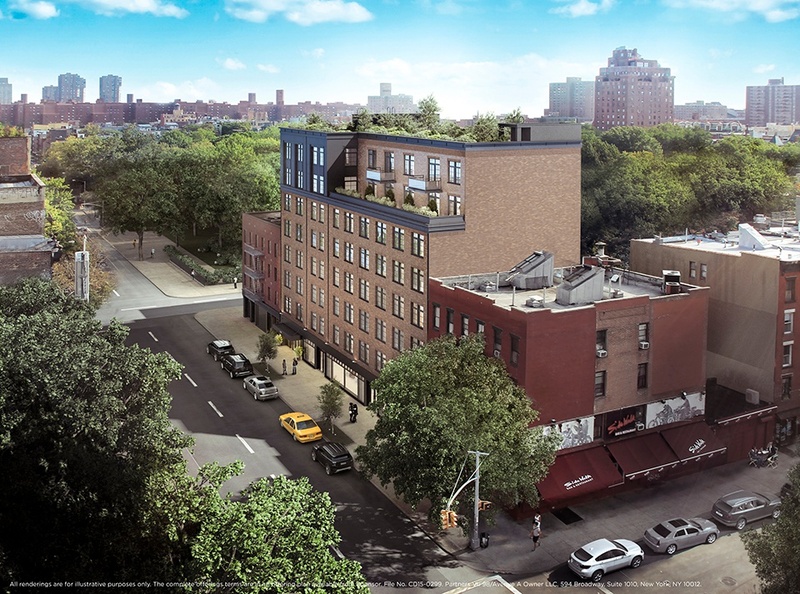 The building will also house a brand new Blink fitness center. 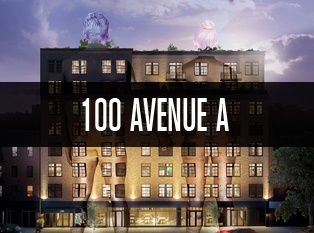 With an expected 2016 completion date, 100 Avenue A is a building that will redefine luxury in the East Village.